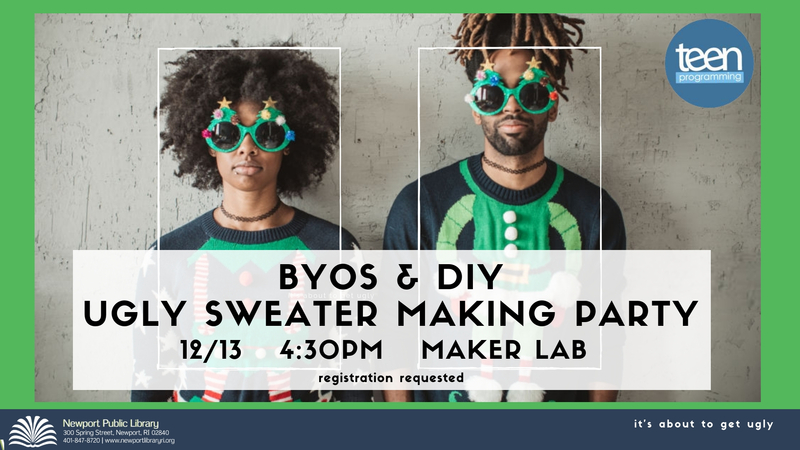 Do you have a Tacky Holiday Sweater Party to go to but not a thing to wear? Miss Becky and Miss Christina will show you how to use the vinyl cutter and heat press to "uglify" your outfit for all those fun holiday parties! Of course you can beautify it if you prefer, but where's the fun in that?! Participants are encouraged to bring a cotton sweaters or just use one of our short sleeve white t-shirts. And then get ready to get ugly!